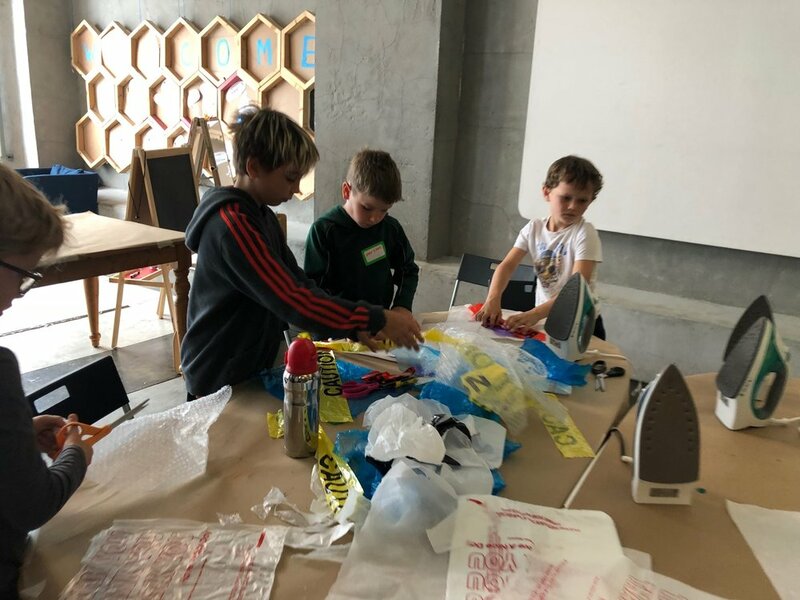 Laying the Foundation - Crafting With Code 4.1 — Wonderful Idea Co.
Today was the first day of the final session of our computational tinkering summer camp series. We'll be spending the week experimenting with the theme of crafting with code and we started off with creating a tool for reflection and tinkering with physical materials. The topics of electrical circuits, traditional crafting, computation and code can be complex and we have discovered that having a place for drawing pictures, writing plans and reflecting on the process is super important. So we start each week by crafting journals with fused plastic (which also gives us the chance to start experimenting with new tools like irons, box cutters and exacto blades. Campers will be able to refer back to these notebooks over the course of the week and they'll be an artifact to refer to after the camp ends. After lunch we started experimenting with LEDs, copper tape and coin cell batteries. It was challenging for many of the campers to manipulate these materials, but having the chance to tinker with physical materials will be an important foundational skill for when we start programming the elements. There were already some glimpses of future projects that we'll be working on over the course of the week. Some campers started taping copper to a friend's sweatshirt to make a low fi wearable. We'll be eventually experiementing with conductive thread which provides similar opportunities. And although there was limited time for the investigations, many of the tinkerers worked with complex topics like combining different colors of lights, creating bridges to avoid short circuits and experimenting with different power levels. We're looking forward to seeing how these ideas continue to evolve especially with the addition of coding and chibitronics chibichips.